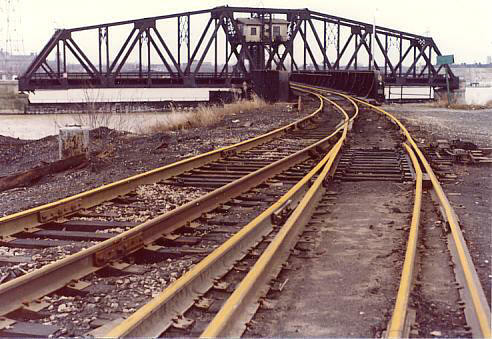 Three tracks coming from the Toledo station area merge into one for the Maumee River crossing ahead in this image. This was along the old Pennsylvania Railroad branch that headed from the main line up to Toledo and Detroit. This part of the route was out of service when the photo was taken in the eighties, and the bridge is now long ago demolished.